UPDATE! The book officially launched on 11/11/2016 and is available for purchase on Amazon.com! Becoming a parent has pushed me to ponder certain things, such as what the world will be like when my daughter turns 86 in the year 2100. Parenthood has forced me to re-evaluate my views on the future, such as whether or not our environmental policies will allow the planet to be habitable for humanity make it to the 22nd century. Parenthood has also challenged me to consider what my legacy to this world will be, and whether or not I will have done everything I could to equip Evelyn to make it in this world without me. Honestly, I feel like I'm one of the luckiest people on earth, and I want nothing more than for my daughter to experience that same appreciation and joy in her lifetime. But how and why did I get here? Was it all luck? Did I play a part? A little of both? What, if anything, was the key factor? I certainly don't claim to have all the answers, but I do know that I discovered (or uncovered) many things along the way, many of which were instrumental at a pivotal moment in my life where a different choice could have led me down the wrong path. Additionally, I've come to appreciate and respect the power of our choices in shaping our destiny. I grew up in a family where substance abuse was prevalent, but I stuck to my guns and didn't allow alcoholism to invade my life so that I could stay in control of my future choices. I grew up in a small town that tended to downplay the importance of exploring the world, but I had the courage to separate myself by going to a college far enough away that I could discover and create a new version of myself. As for college? My ten years at MIT often stressed me to my limits, but I used that as a signal to search for and use various stress management techniques that I still use (quite successfully) to this day. Countless situations, all influenced (sometimes subtlety; sometimes significantly) by the choices that I made or didn't make. 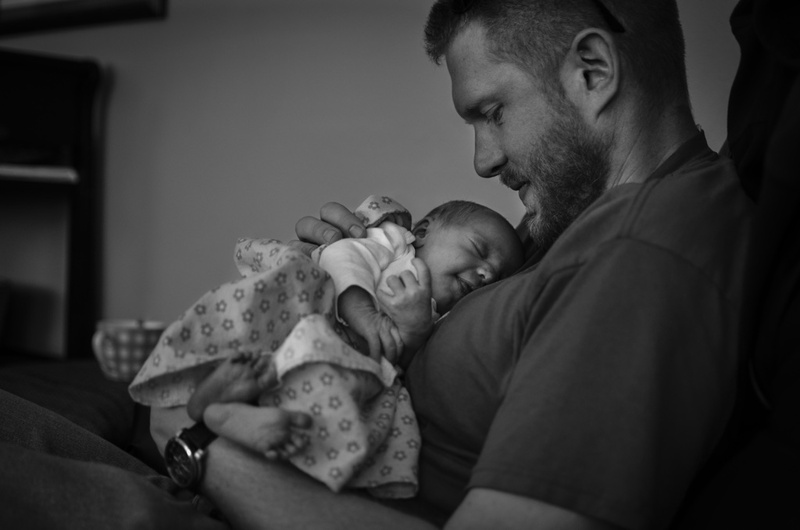 Figure Caption: At only one-week old, Evelyn's smile would light up our world. Photo by Dan Rajter. Given all of this, parenthood keeps bringing me back to this one question, if I left my daughter with nothing else, what would it be? Money is usually the go to answer because we attribute safety and security to it. However, it's quite common for generational wealth to get squandered by future generations because they can lack and appreciation for it as well as the knowledge of what it is and what to do with it. Also, the world is fickle. Fortunes can be destroyed in an instant due to shifting market conditions, natural disasters, etc. But even if wealth could be retained, we also know that it doesn't equate to happiness. If money isn't the answer, then what is? Other assets? Knowledge? Skills? Tools? Personal contacts? All of these have merit, but none of them provide a predictable means for someone to discover who they are or improve their lot in life. No, it has to be something else. Something that permeates the rest. In my opinion, it all boils down to mindset. Small changes in my beliefs about the world, beliefs about myself, and how I showed up in the moment have all greatly affected the outcome of any situation. And the knowledge and tools that I've discovered along the way have only accelerated the speed and ease of which I discovered and unlocked the potential that was already inside of me. I know that may sound like I'm bragging, but I'm not. I come to believe that we all have greatness inside of ourselves, and part of our mission in life is to discover and transform that potential into a life worth living and a story worth sharing. Let me also be clear that I have by no means "arrived" and figured out the secrets of the universe. While I'm proud of my accomplishments, I know that there is a long journey ahead that will take a considerable amount of dedication and courage to keep taking it to the next level. The book I have to write before I die is the first of many contributions that I want to leave to my daughter before I die. It is my sincere hope it acts not as a series of answers, but as a dozen or more trailheads that can lead her to the questions that will ultimately serve as the catalyst for her journey, her story. In short, the book is a starter kit, and it will contain what I consider to be life's lost lessons... the nuggets of truth and insight that many, many others have discovered and shared with the generations before us, but have been forgotten for one reason or another. While my minimum goal is the legacy that I leave my daughter, I have bigger aspirations than that. Being that I'm an empath by nature, it literally pains me to talk to people that have never been exposed to the fundamentals, such as goal setting, learning how they learn, and so on. Many people have not even heard of author's like Napoleon Hill (Think and Grow Rich), Stephen Covey (The 7 Habits of Highly Effective People), or Jack Canfield (The Success Principles). These individuals are not only successful in their own right, but they have interviewed hundreds, if not thousands, of other successful individuals. They have then compiled, distilled, and shared that knowledge with the world. What a gift to the world! One of my goals in life is to not let that happen. Not for my daughter, not for anyone. So this leads to my big hairy audacious goal. Before I die, I want this book (or any of its references) in the hands and read by over a million individuals before they graduate high school. While it may not result in enlightenment for each reader, my sincere hope is that it plants a seed, a seed that will continue to grow with them and within them for the rest of their lives. 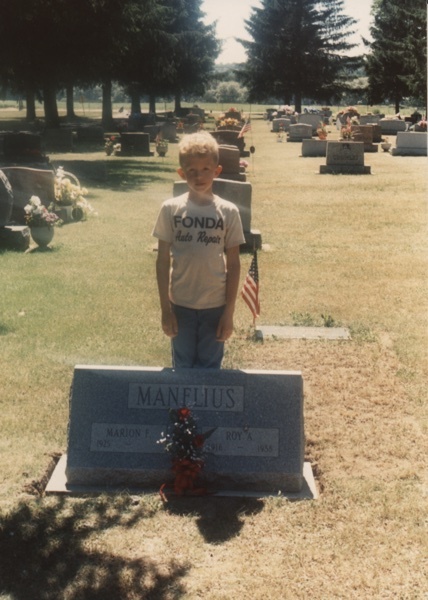 Figure Caption: Standing in front of my grandfather's grave at age 7. What memories will I leave to those that follow after me? Photo by my mother. The book is not ready for public consumption, yet. The first draft is completed, and I'm at the editing stage. I expect to have it fully buttoned up and available in both digital and print formats by the end of 2016. If you would like updates and notifications regarding its progress, please sign up for my newsletter. And if you are so inclined and willing and able to be a reviewer, please reach out to me. As I'm further along the editing stage, I would like to get feedback on the first chapters to make sure I'm making good on my promise to deliver a quality book that will make a difference in the lives of those that read it. Thank you for your time! I look forward to seeing this project (and this mission) through to completion.